Attorney General Mukul Rohatgi requested an apex Court bench comprising of Chief Justice R.M. Lodha, Justice Madan B. Lokur and Justice Kurian Joseph for not taking back about 40 of the 218 coal mines it declared illegal, as they were either producing or were close to producing. He also informed the Supreme Court that the Government was willing to re-auction the coal blocks if their allocations were invalidated. Rohatgi reportedly stated that the 40 mines for which the requisite clearances have been on board and are operational must not be dealt with “one brush” and “can be exempted” from cancellation and re-auction, provided they meet the condition of compensating the loss of Rs 295 per tonne caused to the government and enter into a power purchase agreement at Rs 95 per tonne to make up the loss. The need for saving the 40 coal blocks from “guillotine of cancellation”, as per the Government, arose as uncertainty of coal availability would affect the plants, when the country is facing acute shortage of power supply. The Government is not in favor of formation of a committee as suggested by the Supreme Court. It had been suggested by the apex Court that the Government should set up a committee comprising of its retired Judges to analyze the consequences of the verdict on the allocation which has been held as illegal. The bench asked the Centre as well as the three Associations - Coal Producers Association, Sponge Iron Manufacturers Association and Independent Power Producers Association of India, to file an affidavit on its stand. It stated, “Union is very clear that auction should take place. They are very clear that all the 218 coal blocks be put under auction”. “The allocations have been found to be altogether illegal. Therefore it (centre) wants to start from a clean slate,” the bench observed. The petitioners, NGO, Common Cause, through advocate Prashant Bhushan, and lawyer Manohar Lal Sharma had submitted that since there existed no transparency in the allocation of coal blocks from 1993 to 2010 and they have been held as illegal, that natural outcome would be the cancellation of all 218 coal blocks allocation. The Special Court on Monday, also asked the Central Bureau of Investigation to elucidate whether rule of law was followed while allocating coal blocks to top industrialist Kumar Mangalam Birla’s Hindalco Industries Ltd. The Court was on the closure report filed by the CBI in its First Information Report against Birla, former coal secretary P.C. Parakh and others, the Court questioned whether there existed any act of “omission or commission” in such allocation to Hindalco. It also asked whether such act of omission or commission had any element of criminality imbibed in it. CBI’s investigating officer submitted that during the probe, no criminality in allocation of coal blocks to Hindalco was discovered. It was pointed out that the Special Public Prosecutor, R.S. Cheema will be dealing with these issues. “Further clarification has been sought. Investigating officer said that in the absence of special public prosecutor (SPP), he is not in a position to make any submission and he may be given sometime to brief the SPP so that response to the query being made by the court is accordingly given,” the judge said and fixed the matter for 12 September. In a landmark Judgment the Supreme Court on August 25th, had declared the Coal allocation between 1993 and 2009 illegal, arbitrary, non-transparent and were devoid of any procedure. 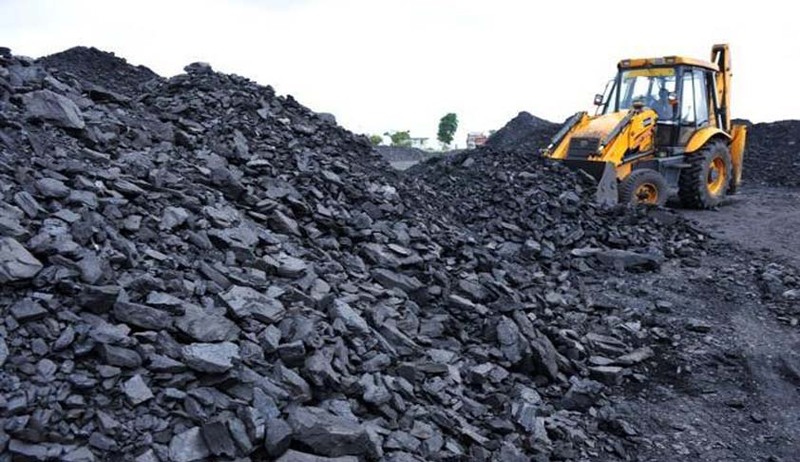 A three Judge Bench headed by Chief Justice Lodha declared that the entire allocation of coal block as per recommendations made by the Screening Committee from 14.07.1993 in 36 meetings and the allocation through the Government dispensation route suffers from the vice of arbitrariness and legal flaws. “The Screening Committee has never been consistent, it has not been transparent, there is no proper application of mind, it has acted on no material in many cases, relevant factors have seldom been its guiding factors, there was no transparency and guidelines have seldom guided it. On many occasions, guidelines have been honoured more in their breach. There was no objective criteria, nay, no criteria for evaluation of comparative merits. The approach had been ad-hoc and casual. There was no fair and transparent procedure, all resulting in unfair distribution of the national wealth.Common good and public interest have, thus, suffered heavily. Hence, the allocation of coal blocks based on the recommendations made in all the 36 meetings of the Screening Committee is illegal”, held the Supreme Court. Read the judgment and Live Law story here. Read more news about the scam and ongoing proceedings here.